Can Djokovic get past Pouille? The Australian Open 2019 semi-finals began today at the Rod Laver Arena in Melbourne. While Rafael Nadal defeated Stefanos Tsitsipas in straight sets, Naomi Osaka defeated Karolina Pliskova in three sets and Petra Kvitova defeated Danielle Collins in straight sets. In tomorrow's men's semi-final, world no. 1 Novak Djokovic will take on Frenchman Lucas Pouille in the second men's semi-final on Rod Laver Arena in the night session. Pouille has surprised everyone with his performances throughout the tournament, having reached his first ever Grand Slam semi-final. In the previous round, he defeated Milos Raonic in four sets. The Frenchman has shown maturity so far in the Grand Slam and has soaked the pressure well. Pouille's five-set win against Alexei Popyrin and the come-from-behind win over Coric are the testament to his newfound confidence. Prior to that, he defeated Maximilian Marterer and Mikhail Kukushkin in the first four rounds. Meanwhile, Djokovic has been in great form in the tournament so far. He had an extremely easy outing against Japan's Kei Nishikori in the previous round. In fact, the Japanese star had to retire mid-way when Djokovic was leading 6-1, 4-1. In the previous rounds, he defeated Daniil Medvedev, Denis Shapovalov, Jo-Wilfried Tsonga, and Mitchell Krueger. Surprisingly, this is the first-ever meeting between the two players. Match: Novak Djokovic vs Lucas Pouille, Semi-Final. Time: 14:00 IST or 19:30 AEDT. The match is scheduled first in the night session. Venue: Rod Laver Arena, Melbourne. India: Matches will be shown live on TV on Sony SIX, Sony SIX HD, Sony Ten 2, and Sony Ten 2 HD. Matches can also be streamed live on SonyLiv. USA: ESPN2 and Tennis Channel. Australia: Channel 9 - Wide World of Sports, 9Gem, and 9Now. All matches can also be streamed live on the official Australian Open website. 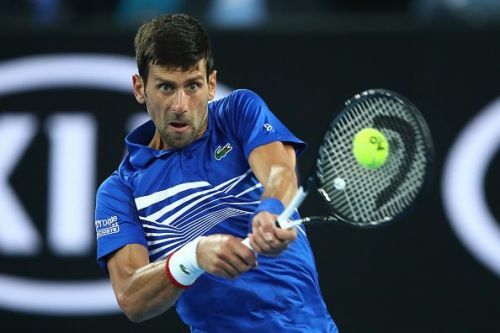 Follow Sportskeeda for 2019 Australian Open News, Schedule, Results, Live Scores and more.